One of the most driven athletes we have ever had the opportunity to talk to, Thomas Degasperi A.K.A. TGas, works hard every day to get better and better. Thomas is from northern Italy and has been skiing ever since he was a young child. TGas, now a Men’s Pro Skier, has been killing it this season, winning tournaments such as the Moomba Masters and the Masters here in the USA all in the same year. He is a 2 time and Current world champion, and whether he is at a competition, with family, or riding with friends, you will always find Thomas in a Malibu Boat. We caught up with Thomas and asked him a few questions, enjoy our one on one interview with the best slalom skier in the world. 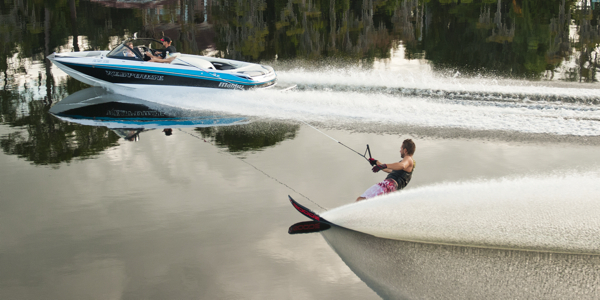 Q: First off, congrats on winning the Moomba Masters and the 55th Masters this past weekend. Has the win sunk in yet? Can you describe the feeling after your final run? Whats next for you this season? 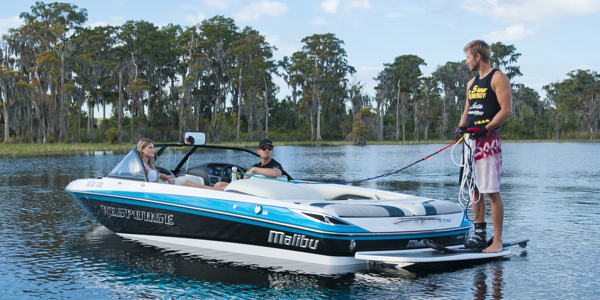 Q: In your opinion, out of all the ski boats and Wakeboard boats, why are Malibu Boats the best boats in the industry? Q: What are you most proud of in your career and why? What is your PB? Q: Who was your biggest influence growing up skiing? How old where you when you started? Q: What would you tell the kids that are buying their first pair of skis and wakeboards? What are the keys to start strong, start right, and have fun? Being ranked number 1 in the world is no easy task, but Thomas makes it look very easy. His up beat attitude and love for the sport makes everyone around him fall in love with skiing, even if they have never strapped on a slalom ski. Make sure to follow Thomas this seasons throughout the events and cheer him on if you get the chance to make some of the competitions. Come in to Memphis Boat Center to find a great selection of skis to match every level of rider! Catching up with Raimi Merritt before Memorial Day. Here at Memphis Boat Center we have had very little time to stop and catch our breath with Memorial Day around the corner. We are so happy to see that everyone is excited about the holiday and coming in to the store and stocking up with the best products from our pro shop. Being an exclusive Hyperlite/Byerly dealer we are proud to carry the best boards in the industry designed by the best athletes in the world. One of these such athletes, Raimi Merritt, is hard at work getting ready for a summer full of competitions and events. Raimi has established herself as one of the best women wakeboarders in the world, but no matter her celebrity status and fame, she remains grounded and is one of the nicest people you could ever have a conversation with. She keeps her friends close and family closer. Enjoy our exclusive interview with Raimi as we find out a little about her and her plans for Memorial Day. Q: What is your favorite part about spending a warm summer holiday out on the lake with friends and family? Do you have any plans for Memorial Day this year? A: My favorite part is being able to make memories with the people you love and enjoy spending time with. I grew up on the lake and spending time with my family skiing and wake boarding, so I love being able to continue to do that throughout my life. I will be competing in the Nautique Masters this Memorial Day weekend! Q: When did you start wakeboarding? Who was your biggest influence while learning how to ride? A: I started wake boarding at the age of 9. My dad was definitely my biggest influence because he introduced me into wake boarding and was my drive and encouragement throughout my learning process. He also was a professional barefoot waterskier, so I wanted to follow his footsteps. Q: With the Maiden being one of the best all around boards that we have seen, what would you tell a girl who is thinking about a new board but is not quite sure what to get? In your words why is your board a cut above the rest, but yet friendly for anyone to use? A: All of the womens boards on the hyperlite line are made specially for women riders, which is one of the main reasons the maiden is such a great board to ride. My favorite part of the maiden board is the continuous rocker, which allows me to have a consistent edge up and through the wake and it also gives me the ability to have a big pop! The Brighton system boots that are a part of the maiden series and the only womens system boots out are also awesome because they have great ankle support and include the BOA system that helps fit to any ankle. On top of all the great technical stuff the maiden series LOOKS AWESOME & FUN! Q: Everyone we talk to has their favorite location to take their friends and family out on the lake, where would you say your favorite place to ride is? A: I would have to say my backyard here in Orlando, fl on Lake Conway! Q:What do you see in your future in wakeboarding? How do you want to be remembered? A: I see my riding to continue progressing and competing. I want to be remembered all around from my personality to my riding. The more I ride the more I learn and make my own style and that is a huge reason why I love wake boarding because I can do stuff in my own way. Learn a Trick with Raimi. Imagine being on the boat with Raimi Merritt. You have your boots strapped on and ready to hit the water. As a beginner, you are a little nervous, but you are excited to to get out there. You look up, and there you see Raimi, who tells you the secret of how to get better and more comfortable on your new Maiden. and the best trick to learn first on the water. Raimi Merritt: First of all always have fun! Dont beat yourself up if you dont get something the first try because once you do get it, everything else becomes super easy. One of the best tricks to learn first is wake to wake jumps. The first invert I learned was a heel side backroll. Memphis Boat Center would like to say thank you to Raimi for taking the time with us and we wish her the best of luck this season. For a chance to meet Raimi or watch her ride make sure to go cheer her on at the following competitions. The masters. Memorial Day Weekend. July 18-20 the Pan Am Olympic Sports Festival in Mexico. July 24-27 Nautique nationals. August 21-24 Nautique wake open in Orlando. September 11-14 Worlds in South Florida.. If you are looking for a new set up, make sure to contact your local Hyperlite/Byerly dealer or come on in to Memphis Boat Center and ask for Enrique. Who needs to have a Boating License? All Your Questions Answered! 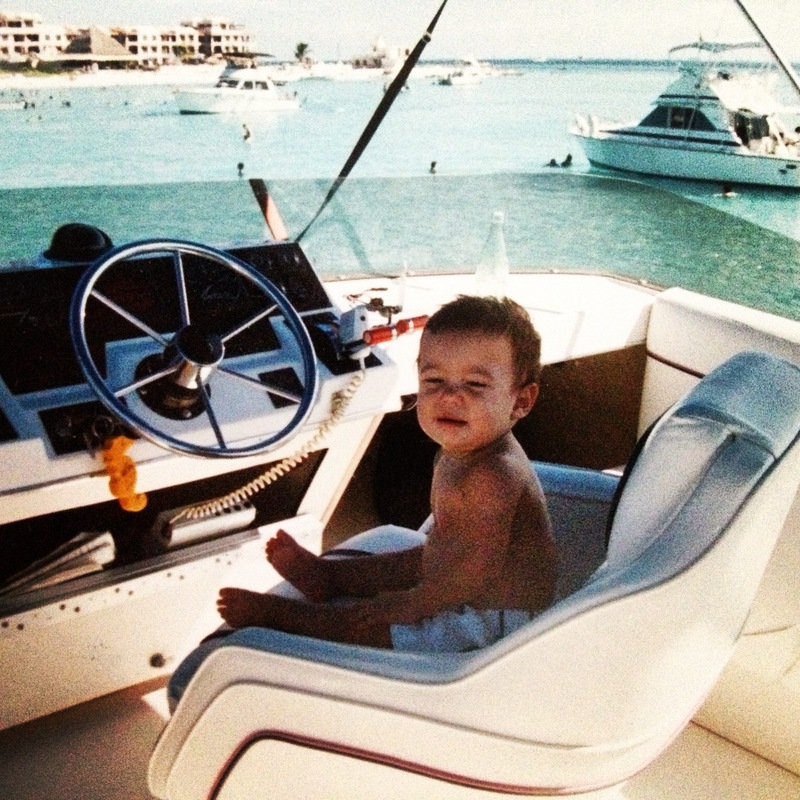 If you are someone that loves taking your family out to the lake and enjoy your summer weekends, making memories on the boat as your kids grow older, chances are that you have asked yourself the one question that we are frequently asked here at Memphis Boat Center. “How old do my kids have to be to get their boating license?” “Where do I go to get the Boating License?” Well Today we will finally break it down for you and try to make it as simple and painless as we possibly can, that way you can go home and help your kids get certified and enjoy the process in the meantime, since we all know family time is hard to come by during the busy work week. Plus, Who wouldn’t want their kids driving them around the lake all summer like chauffeurs. So, First thing is first. Every state requires different things and have different processes for issuing boating licenses. In this post we will tell you how to get your license in Tennessee and Mississippi. This post will guide you to where you need to take the test and also the websites where you can find complete details and requirements. Anyone born after January 1st, 1989, who operates a motorized vessel over 8.5 HP in Tennessee. If there is an adult on board (at least 18 years old, and if born after 1/1/89 that possesses the certification) that can take immediate control of the vessel, this certification is NOT required. How do you take the exam? you need to purchase a 10 dollar type 600 boating safety permit. (like a hunting license can be found at walmart or sporting goods stores)make sure to keep your receipt since it will be your “ticket” to the exam. you can get all the study material free by calling (615)781-6682. you can study with your kids and help them learn the old way from a printed paper back copy. for all the new techies, you can also take a study course online(not free) at http://www.Boat-ed.com/tennessee. They have practice tests and good study tools. you will still have to take the in person test. log on to http://www.tn.gov/twra/boated.html for more information and to find the closest testing facility. It is a bit easier to get your boating license in Mississippi because you don’t have to actually show up to a in person test. You can actually take the course online and they will mail you your license in the mail! AWESOME! Anyone Born after June 30th, 1980, who operates a boat or PWC(jet ski) in Mississippi. after passing the test you will have to pay $29.50 and can instantly print your temporary certification! you will receive your boater education card in the mail in about 8 to 10 business days. We hope you guys enjoy getting certified and this summer on the lake while you sit back, relax, and let your kids do all the driving for you. Have fun and be safe out there.